'Academy Has A Problem,' David Oyelowo Says At MLK Event Honoring Academy President : The Two-Way "I am an academy member and it doesn't reflect me, and it doesn't reflect this nation," the actor said Monday, in a speech that cited black performers' prominent roles in successful films. "For 20 opportunities to celebrate actors of color, actresses of color, to be missed last year is one thing," actor David Oyelowo said Monday. He added, "for that to happen again this year is unforgivable." "I am an academy member and it doesn't reflect me," actor David Oyelowo said last night, rebuking the Academy of Motion Picture Arts and Sciences for again failing to nominate black performers. Speaking at a Martin Luther King Jr. Legacy Award Gala in Los Angeles, Oyelowo asked those present to pray for the academy's president, Cheryl Boone Isaacs, saying she needs their support. "The academy has a problem," Oyelowo said, according to the Hollywood Reporter. "It's a problem that needs to be solved." He also criticized the slow pace of change in Hollywood, comparing it unfavorably with the U.S. passage of civil rights legislation 50 years ago. The lack of diversity in the Oscar nominations announced Thursday quickly set off a wave of criticism. Over the weekend, filmmaker Spike Lee and actress Jada Pinkett Smith both said they won't attend the ceremony. Boone Isaacs, who was elected the academy's first black president in 2013, was present for Oyelowo's speech — she was being presented with the Rosa Parks Humanitarian Award when Oyelowo diverted from his prepared text, according to the Reporter. "While we celebrate their extraordinary achievements, I am both heartbroken and frustrated about the lack of inclusion. This is a difficult but important conversation, and it's time for big changes. The Academy is taking dramatic steps to alter the makeup of our membership." Those steps center on recruitment, Boone Isaacs said, noting that in the 1960s and '70s, the organization had sought younger members "to stay vital and relevant." As we reported Thursday, "for the second year in a row, no black actor or actress was nominated for an Oscar. And unlike last year, when Selma competed for best picture, no black faces are featured in what the academy is calling the top films of 2015." One day after the nominations were announced, Chris Rock, who's hosting next month's awards ceremony, tweeted, "The #Oscars. The White BET Awards." Saying via a video posted to Facebook that she won't be attending, Pinkett Smith said, "The academy has the right to acknowledge whomever they choose, to invite whomever they choose." She added, "Begging for acknowledgement — or even asking — diminishes dignity. It diminishes power." Announcing his decision via Instagram, Spike Lee said, "As I see it, the Academy Awards is not where the 'real' battle is. It's in the executive office of the Hollywood studios and TV and cable networks. ... People, the truth is we ain't in those rooms and until minorities are, the Oscar nominees will remain lily-white." Lee also thanked Boone Isaacs and the academy for awarding him an honorary Oscar in November. But he said of the upcoming ceremony, "We cannot support it." Last year, Oyelowo's portrayal of Martin Luther King Jr. in Selma was widely expected to garner an Oscar nomination. On Monday, he said that after the snub, Boone Isaacs "invited me to her office to talk about what went wrong." He added, "For 20 opportunities to celebrate actors of color, actresses of color, to be missed last year is one thing; for that to happen again this year is unforgivable." 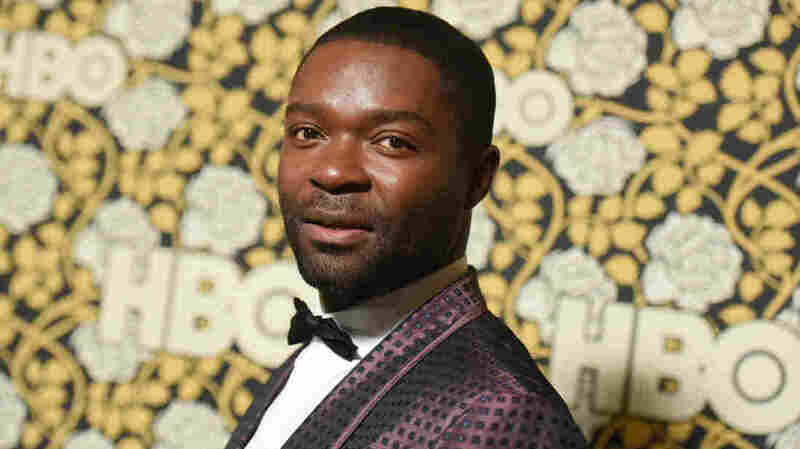 Referring to black performers' prominent roles in Star Wars: The Force Awakens and other successful films, Oyelowo stated, "This institution doesn't reflect its president and it doesn't reflect this room. I am an academy member, and it doesn't reflect me and it doesn't reflect this nation." This year, Pinkett Smith's husband, Will Smith, did not receive a nomination for his work in Concussion. Neither did Idris Elba, despite winning acclaim for his part in Beasts of No Nation. Both actors were nominated for Golden Globes. Within the strong criticism that has met this year's Oscar nominations, there's also disagreement over who should have been recognized. In response to Pinkett Smith's video, actress Janet Hubert, who portrayed Will Smith's Aunt Viv on the 1990s TV show Fresh Prince of Bel-Air, released a video of her own in which she told the couple, "Y'all need to get over yourselves." "I didn't think, frankly, you deserved a Golden Globe nomination with that accent, but you got one. And just because the world doesn't go the way you want it to go doesn't mean that you can go out and then you start asking people to stand up and sing 'We Shall Overcome' for you." For his part, Elba, who, like Oyewolo, grew up in London, gave his own speech yesterday "about a lack of diversity on British television," as NPR's Tanya Ballard Brown reported. In it, he told members of Parliament and senior TV executives about hitting a point in his acting career when he realized he would only be seen as either a best friend or a gang leader. "I knew I wasn't going to land a lead role," Elba said. "I knew there wasn't enough imagination in the industry for me to be seen as a lead." In his speech Monday night, Oyelowo said performers dream of being accepted by the academy "because it is the height of excellence." He added, "I would like to walk away and say it doesn't matter, but it does, because that acknowledgement changes the trajectory of your life, your career and the culture of the world we live in."